Team 1836, also known as the Milken Knights, have competed in countless robotics competitions and are very respected in the fierce world of robotics. However, now The Knights are currently in the midst of the newest and most impressive scientific endeavor in Milken Community Schools’ history. 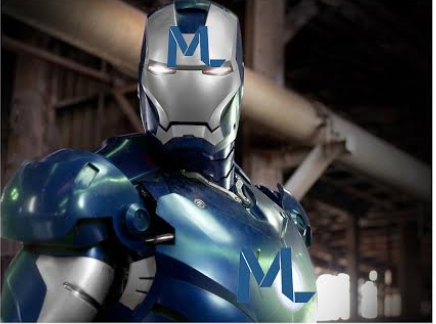 With the selfless goal of making Milken a safer and more efficient place, the Knights are attempting to make a real-life Iron Man suit, known as the Iron Mensch. While the suit may be inspired by the hit Marvel comic-book character, the Knights have decided to put a realistic spin on the fantastical character. The team has spent countless hours in The Guerin Institute creating blueprints, building and testing the Iron Mensch. Sporting a bold blue and silver exterior, Iron Mensch will proudly wear our Milken logo on his chest as he protects our school. The purpose of the Iron Mensch is not to replace the fantastic security guards of Milken; the goal is quite the opposite. The robotics team built the Iron Mensch to give our security guards a break. His day will consist of flying around the school, patrolling the premises and directing carpool in the west lot. It is very important to note that the Iron Mensch will not be weaponized and will be programmed to “Chaver (friend) Mode.” The Iron Mensch working at the west lot will eventually lead a team of robots known as the west lot warriors. The jobs of school and west lot security along with those working in the Milken Mart can easily be done by robots due to their ability to work long hours without feeling fatigue. To branch off of the west lot warriors, there will also be a branch of Iron Menschs that will work in the Milken Mart, called the Iron Moms. The Milken Knights released a statement saying, “We are approaching a new generation. Iron Mensch will pave his way to ultimate human comfort and success.” Specifically, the Iron Moms will have infrared laser capabilities, perfect for quickly reading any credit card or Milken ID. All Iron Moms will have an “Unbiased Setting” making it impossible for them to give any free items from the Milken Mart to their favorite students. The Mart itself will also be equipped with an anti-theft lockdown apparatus that locks down the Mart if a student tries to snag even the smallest breakfast burrito without paying. In the future, when the entire legion of Iron Mensches is completed, the robotics team plans to use them for transportation to and from the west lot. The robotics team has expressed their excitement to unveil the Iron Mensch to Milken, and should be able to unveil the first one in the beginning of the next school year. The co-captain of the robotics team, Gavriel Yanai ‘17, told The Roar that he is “so excited that our inventions will be making a real impact in our community.” After talking to him, The Roar also learned that in the coming years Milken has approved funding for Iron Mensch replicas that will replace janitors, teachers and administrators. The robotics team is a true inspiration to all Milken students and scientists everywhere, not only for their talented gifts, but their increased desire to make this community a better place.